Portland has been known for being a major hub for indie rock production, so it really didn’t surprise me at all when I found out that Typhoon was born there. What did shock me, is how this band is on their fourth studio release and have yet to make it big in the indie sphere of music. However, White Lighter is bound to change that, with its perfect blend of delicate indie folk rock and swells of grand string and horn arrangements. After a brief prelude to warm things up, Typhoon jumps right into their glistening folk rock, charging forward with Kyle Morton at the helm of lead singer. Averaging at around 12 members for a live performance, leading is no small feat, but Morton’s warbling voice, which is reminiscent of Zach Condon’s, manages to pull everything together whilst spinning tales of great gravity and wit. “Artificial Light” begins with this great fast paced and soft percussion and an electric guitar riff, followed closely behind by strings and then horns! Soon, there are so many elements layered on top of each over you become a bit overwhelmed with the detail of it all. Never fear—they reel it in for a brief spotlight on Morton’s voice before they tear back into things. The instrumentation is ferocious one minute and almost absent in another. 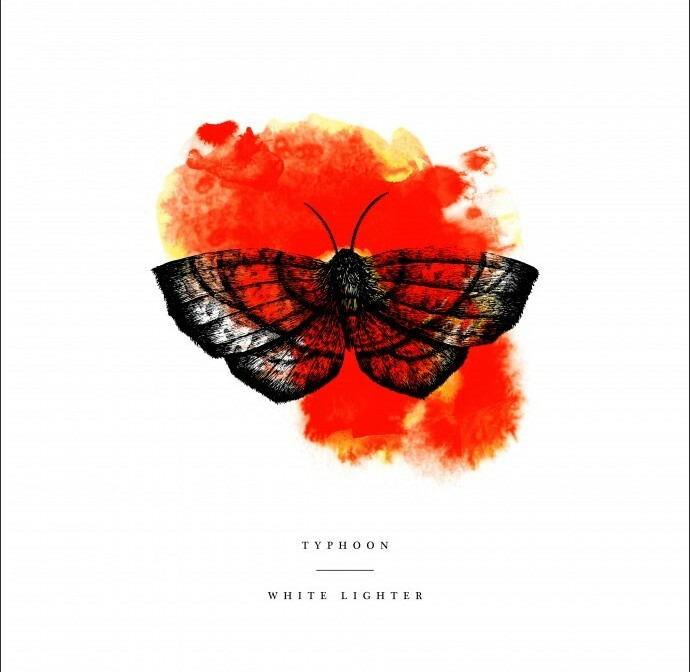 This dichotomy is what makes Typhoon and White Lighter so interesting and good; they craft tunes that are built for longevity as well as instant gratification. Take “Morton’s Fork” and “Possible Deaths” for example. “Morton’s Fork,” begins beautifully with a string introduction, segueing into some acoustic guitar plucking and Morton on vocals. He is soon interrupted by some angelic female vocals telling you to ‘let it go, let it go, let it go,’ and triumphant trumpets which add to the overall rosy feeling surrounding this music. All the while, though the instrumentation is enough to have you enchanted by this group, the lyrics themselves pull you further in, with lines like ‘We are alone in this together’ that seem to be chanted to you by a whole choir. A continuation of this wonderful tune begins “Possible Deaths,” which packs a punch with its roars of sound that slowly dim to those sugary female vocals that you already met before. These two tracks come together to make for a trip deeper into the album. I could go on and on about each individual track on this record, iterating its beauty, but it would be just a better idea to tell you to please do yourself a favor and buy it. There are a great number of moments that I have already come to love, and with each new listen through I find more and more. So many graceful nuances await you on White Lighter, so go on and have a listen.